Mega Plait is a unique 12-strand rope where the strands are formed by running the braiders on the braiding machine in tandem. 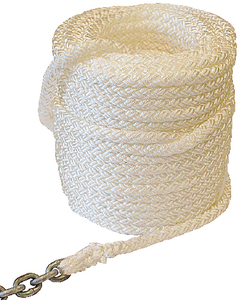 The result is a 12-strand braided rope that has the characteristics of a plaited rope. Mega Plait is the perfect balance of supple and firm, and was designed for use in mechanical windlasses without abrading or fraying.